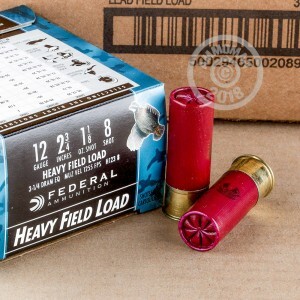 Federal Game-Shok ammunition is a great choice for cost-effective hunting. 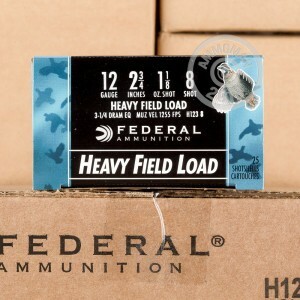 This 12 gauge load is well suited to taking small game and upland birds; each 2-3/4" shell fires a 1-1/8 oz. column of #8 shot at a medium muzzle velocity of 1,255 feet per second. This combination results in moderate recoil, good patterning at medium range, and good terminal performance against small animals. 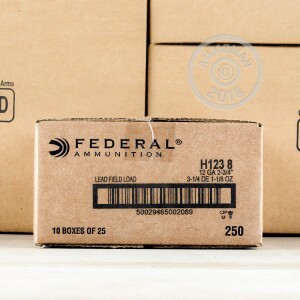 This ammunition is loaded by Federal in Anoka, Minnesota. Federal is part of the Vista Outdoor group, which also includes Estate, Speer, CCI, and several other shooting brands. Place an order for $99 or more at AmmoMan.com to earn free shipping. It's a hassle free way to save.